I must warn you….this is a long post! 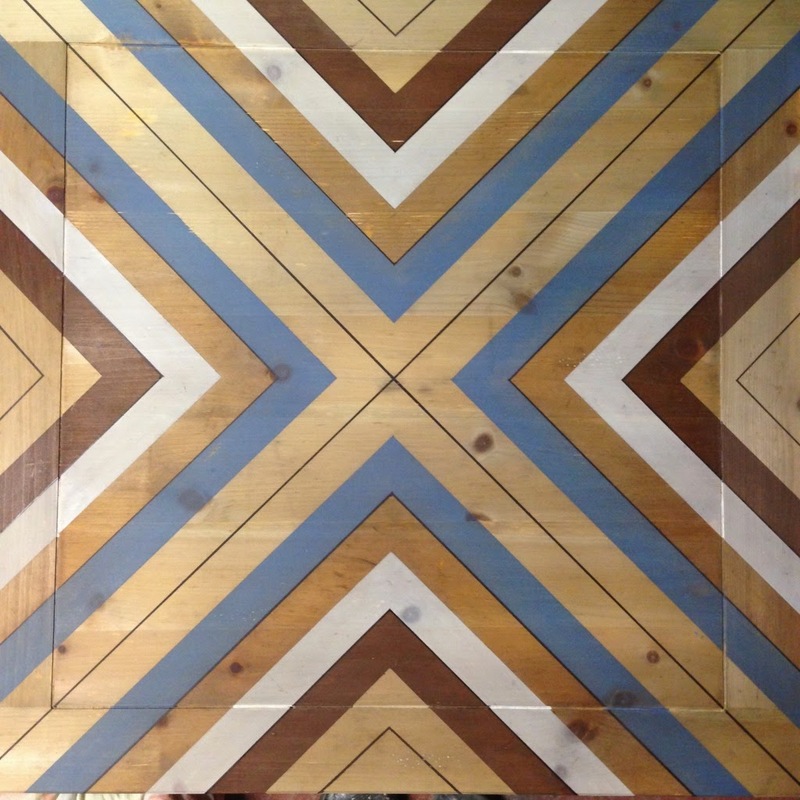 There were so many details that went into the making of this coffee table. So if you’re interested in the juicy details continue reading, if you don’t give a hoot then zoom to the bottom and see the final pics! I found this pine coffee table while on a shopping trip in Chicago and I fell in love with it’s rustic and chunky charm. It’s also incredibly heavy! Stop by to see some awful pictures of what it looked like before. It was pretty beat up and the finish was very pecan-y. After I had the table, I started to plan what I wanted to do with it and right away. I knew I definitely wanted a pattern. I wasn’t sure what I wanted the pattern over though-stained wood? Painted wood? Then I remembered an amazing Instagram account I started following recently that I found of course through a different IG account-don’t ya just love the IG world?? It really brings people together and it’s such a friendly neighborhood! So I looked up @weatherwoodstains and browsed their photos and it was fully decided…I’d weather the coffee table to a grayish, reclaimed look! I contacted Becca, the founder of WW Stains and told her about my project and that I’d love to try her product on it. She kindly sent me not 1 but 2 bottles for me to try! I was so happy the day they arrived on my doorstep! This product is incredible! It’s an earth-friendly reactive wood stain that will weather and age new and stripped wood (it must be bare) to give it that washed, gray, driftwood-like look. It is so stinkin’ easy to use too either on new wood or after you’ve stripped it, I just applied it with a sponge brush. You saturate the wood and let it dry on it’s own. It works it’s magic as it’s drying and you get to watch it weather before your very eyes! Stop by for the full tutorial. It was really fun to watch this process happen and I was so pleased to see how gray it turned. 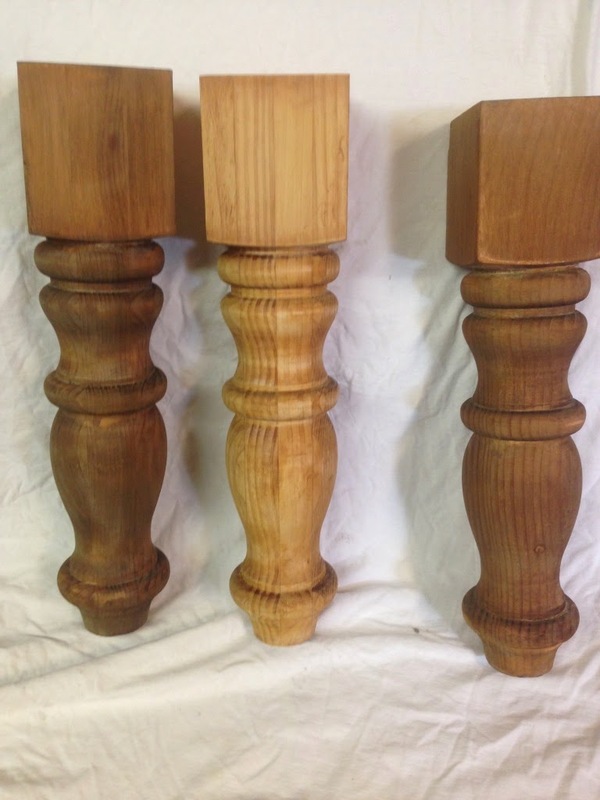 Here are the legs after they’ve been stripped and sanded. The middle leg in the picture does not have stain on it yet. The left leg is fully saturated and the right leg has been drying for a few minutes. Drawing out the design (don’t even ask me how I came up with the measurements. I just did it like I was possessed by some math spirit). The entire table is sealed in General Finishes Flat Polycrylic (my fave top coat). It’s super smooth and ready for some good use! 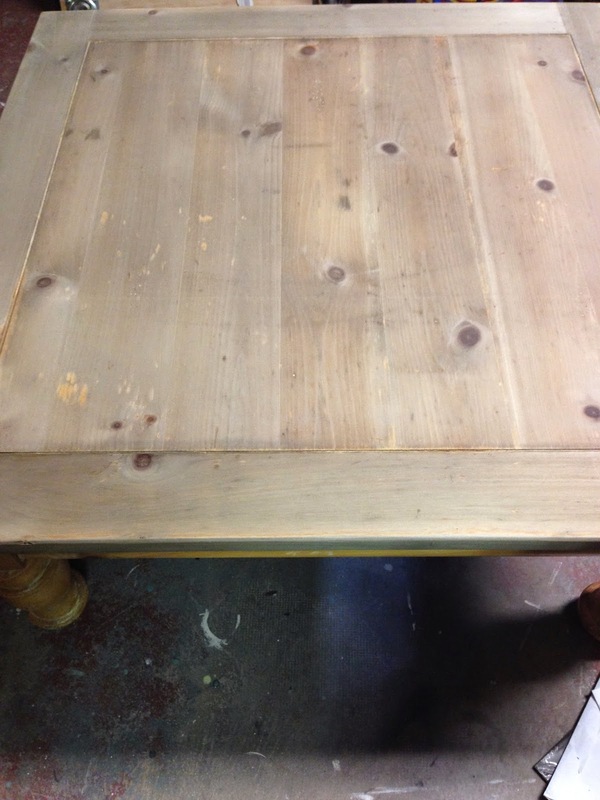 Thanks to Krizia for reviewing Weatherwood and for killing it on her table! It's currently for sale if you're interested. This whole last week I've been stripping a maple table I bought, and it's more work than it looks! I obviously love working with bloggers, since that's where my heart is and will always be! We have several more upcoming projects to share with you and I am so excited about it! If you're interested in using Weatherwood Stains to create your own reclaimed or drift wood looking project, you can apply right here.